The Red Sox may have won their first game–and series–over the weekend against the Yankees, but not everything has clicked in one game yet. wonder if that bunt was his intuition or Francona’s. John Lackey hardly kept the Red Sox in the game on Friday night giving up six runs over five innings on seven hits, but the offense was finally able to string some hits together when it mattered (ie. with runners in scoring position). Such was not the case on Saturday night. On the eve of the announcement of his four-year contract extension, Buchholz only lasted 3.2 innings giving up five runs (four earned) on eight hits. Somehow, I’m not too concerned about Buchholz getting his act together like I am about some other pitchers. I don’t think it’s realistic to expect Buchholz to put up the kind of numbers he did last year (specifically the ERA), but I do think it’s realistic to anticipate great numbers. 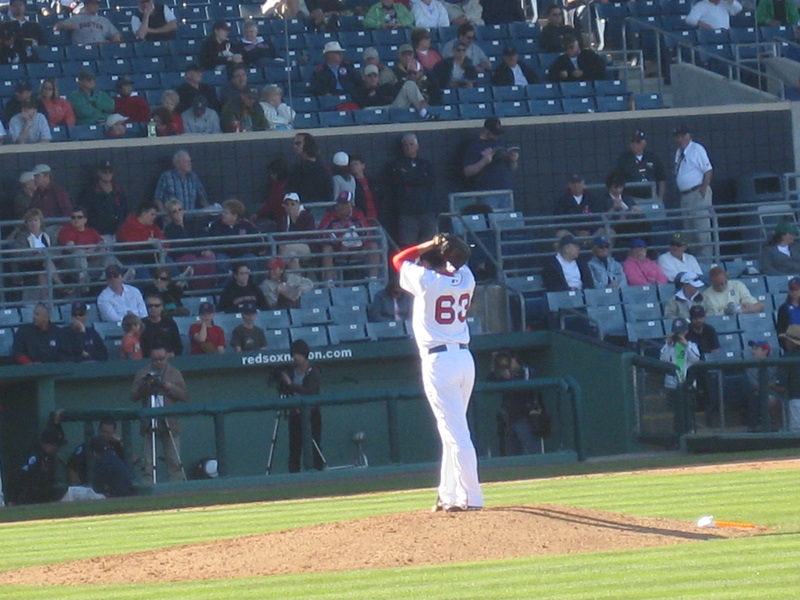 Looking back to 2008, Buchholz is a completely different pitcher. He is far more comfortable with pitching from the stretch, and he commands an aura of confidence on the mound. There is no question he deserves a four-year contract extension. Going back to the offense, though, the Red Sox stranded around 11 runners on Saturday night. The next night, the Sox left around 15 runners on. This is unacceptable, but the Red Sox were able to get away with it on Sunday night because it was finally a game where they weren’t trailing going into the bottom of the first. On the bright side, though, Dustin Pedroia collected three hits in each game against the Yankees. I don’t think anybody was expecting Josh Beckett to have the kind of night that he did, but he really proved a lot of people wrong. Clearly, he is not past his prime. He retired the side in order six out of his eight innings, and retired 14 straight after putting two runners on in the fourth inning. Beckett’s velocity was great, but it was his off-speed stuff that was really fooling hitters. Nevertheless, he was throwing all of his pitches for strikes. There is no doubt that Beckett has what it takes to find the overwhelming dominance he had in his 2007 Cy-Young-caliber season or his 2003 World Series MVP season. It’s just a matter of executing and throwing all of his pitches for strikes. I don’t think he has turned into the Wakefield or Matsuzaka type of pitcher where he is either really on or really off. Beckett has a lot to prove or reprove for that matter. There is no doubt that Jon Lester earned and deserved the honor of starting Opening Day, He is the ace of the pitching staff. I still think that Francona moving Beckett from the one-hole to the four-hole was a demotion of some sort. It cannot have been a match up issue with Texas because Lackey has historically struggled in Arlington. Perhaps Beckett will fare better this season without the pressure of explicitly leading the Red Sox’ pitching staff. When a team names their starting pitcher on Opening Day, there is an implicit statement that follows: this is the ace of our staff. Well, in his two best seasons to date (2003 and 2007), he was not the Opening Day starter. I know this is a lot to say after one start. But this flash of Beckett’s characteristic brilliance of old erased all qualms I might have had. Matsuzaka’s start, on the other hand, only confirmed my qualms. Giving up seven runs over two innings isn’t pretty, but it’s not like I have not seen the Red Sox come back from a 7-0 deficit against the Rays before. It’s certainly easy to blame Matsuzaka, but it is also important to notice that the Red Sox bullpen gave up a combined nine runs after Matsuzaka’s departure (only Alfredo Aceves is pardoned from this mess). Despite Matsuzaka’s consistent struggles, I have a feeling the Red Sox will stick with him because of his contract. I know it’s frustrating to have him on the team now, but there is no doubt that it was a brilliant signing at the time (even though spending millions just to talk to him was ridiculous). The Red Sox don’t win the 2007 World Series without him. He was the Ichiro Suzuki of pitching in Japan. There is no doubt that Dan Wheeler has been brought into some tough situations thus far: mop-up duty last night, and lying in the bases loaded, no outs bed that Dennys Reyes made. I think that people have failed to notice Wheeler’s lack of dominance because of these already-out-of-control situations that he has been brought into. He has been tagged for hits in his outings. I think that Wheeler will prove to be a valuable asset down the line, but I think Francona has to define his role a little bit more. Greenville: On Saturday night, 36th overall pick Bryce Brentz went 3-4 with two triples and a double. Brandon Jacobs went 1-2 with a home run. In his professional debut, 39th overall pick Anthony Ranaudo threw five innings of shut out ball. He gave up three hits, walked one, and struck out four. On Sunday, Brandon Workman made his professional debut. He gave up no earned runs over two innings. He gave up two hits, walked two batters, and struck out four. Felix Sanchez went 3-5, and Brandon Jacobs went 2-5 with a double and another home run. On Sunday, Miles Head had an absolute monster game. He went 4-4 with two home runs, a double, four RBI and four runs scored. Salem: Salem’s home opener–and Drake Britton’s first start of the season–was pushed back a couple of games due to rain. Britton didn’t have a great outing, but I would attribute this to the weather and the uncertain process of warming up just to sit down again. Salem’s offense didn’t hit much on Saturday, but Dan Butler went 3-3 with a home run. In their later game (the played a double header), Matt Spring went 2-3 with two doubles. 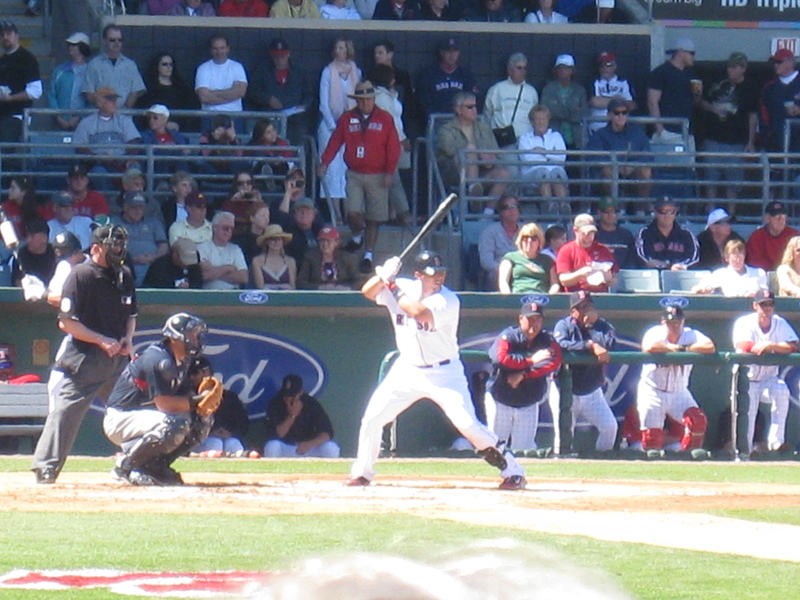 Portland: On Saturday, Will Middlebrooks went 4-4 with two doubles, a home run, and three RBI. On Sunday, Stephen Fife, Seth Garrison, and Blake Maxwell shutout Reading. Alex Hassan went 2-3. On Monday, Michael Lee gave up three hits over 3.2 innings and struck out four, giving up no earned runs. Ryan Lavarnway went 3-5, and Oscar Tejeda, who was off to a relatively slow start to the season, went 2-4. Alex Hassan has gotten at least one hit in every game so far. Middlebrooks also had a hit in every game until last night’s. Who said the transition from Advanced-A to Double-A was the hardest? Not these guys. Pawtucket: Tony Thomas, who was competing for a spot in Pawtucket during Spring Training, has hit two grand slams this week. In fact, he has nine RBI in his first three games of the season, and a hit in each of his first three games. On Saturday night, Matt Fox threw six innings of one-run ball. He gave up four hits, one walk, and struck out four. In his second appearance of the season, Okajima threw another scoreless inning. He also appeared in a game on Monday in which he threw a scoreless inning. Lars Anderson was 3-4 on Saturday. On Sunday, Andrew Miller started and threw 3.2 innings. He gave up two runs (one earned), walked four, and struck out four. Rich Hill and Clevlan Santeliz combined to throw 4.1 innings of scoreless relief. Hill struck out four. On Monday, Pawtucket exploded for 15 runs. Ryan Kalish went 3-5, and Juan Carlos Linares went 3-5 with a home run and a double. Jose Iglesias also collected a hit after taking some precautionary rest due to a sore thumb. Brandon Duckworth threw five innings of shutout ball, striking out three, and giving up four hits. 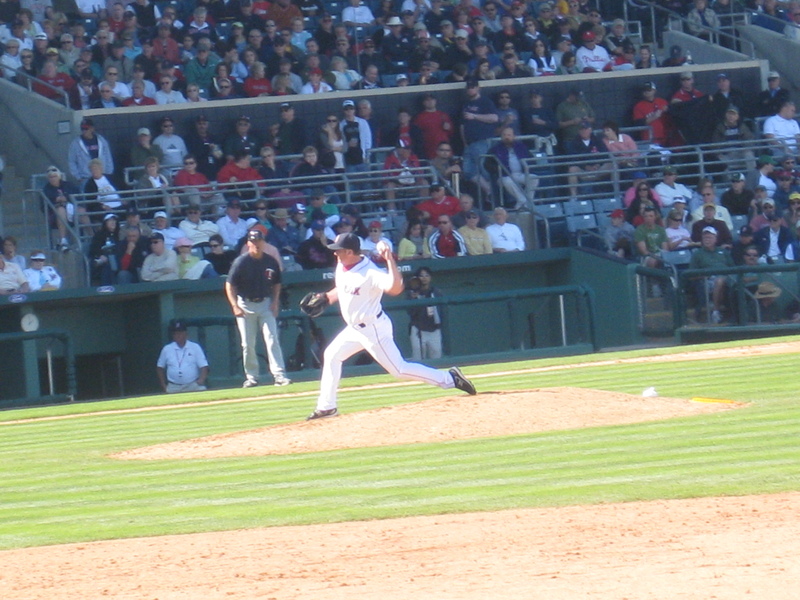 Jason Rice pitched the ninth and threw a scoreless inning, striking out one. On Saturday, Dustin Richardson threw 2.1 innings for the Triple-A New Orleans Zephyrs. He gave up one hit, one run, struck out three, and walked none. On Monday, he threw 1.2 innings giving up two hits, a walk, but striking out three. the trade (ie. Andrew Miller trade) at first, but that he was happy and liked the organization. He said he was particularly excited because he thought he had a legitimate shot of making the team out of spring training. Unfortunately, he was optioned to Triple-A, but I don’t think it will be a bad thing for him. Richardson was brought in sporadically last year and into tough situations for a guy fresh out of Triple-A. He dominated in Pawtucket last year during the first half of the season, leading the team in strikeouts if I remember correctly. Nevertheless, he never pitched the amount of innings in Triple-A that he did in Portland, so a little extra time will only help him. I have no doubt that the Florida Marlins will call him up soon, and when he makes the club, I have a feeling he will stick. The thing is, Richardson is capable of being far more than a lefty specialist. The thing that troubled him last year with the big league club was that they would bring him in, he might face one guy, walk him, and then they would take him out. He mentioned it was tough mentally. It’s all about confidence with him. If he can get ahead in the count with his first pitch strike, he throws his curveball and changeup a lot more. Casey Kelly started the season in Double-A for San Diego. In his first start of the season, he threw 4.1 innings, giving up three runs on five hits, and striking out one. Kelly spent all of 2010 in Double-A, but I think he could use some more time there simply because he didn’t dominate hitters last season the way he is capable of doing so. Plus, it was his first full season as a pitcher, so I’m not surprised that he is in Double-A. Reymond Fuentes has gotten a hit in all of his games so far, and is batting .333 for the Advanced-A Lake Elsinore Storm. Anthony Rizzo has gotten multiple hits in all of his games thus far save one. He is also hitting .333 with two doubles and a home run for Triple-A Tucson. Well, it has certainly been a while. I am actually writing this from the press box at Hadlock Field–where the Portland Sea Dogs play. I have a lot of stories to catch everyone up on, the next few entries won’t really correlate with what I’m doing at the moment. I was lucky enough to spend July 19 and 20 in Pawtucket. The first night I shadowed radio broadcaster Steve Hyder, and the second night I shadowed ProJo reporter Brian MacPherson. I swear I learned more in those two days in Pawtucket than I did all year (and I’m sure Portland will offer a similar experience). I had my first press pass, and that basically gave me all access. I was able to go into the clubhouse and locker room, sit in on press conferences with PawSox manager Torey Lovullo (and even ask him a question), as well as sit in on interviews/talks with Lars Anderson, Josh Reddick, and even Jeremy Hermida (who was there on a rehab assignment). Unfortunately, I was not able to see Michael Bowden or Dustin Richardson. Bowden was called up the day before my first day in Pawtucket, and while I was disappointed that I didn’t get to see him, I am more than thrilled that he is getting his well-deserved chance to be in Boston’s bullpen. Richardson was optioned to Pawtucket after my last day. Richardson seems like a good transition to the two games that I attended in San Francisco. Fate was on my side this time. The summer program that I attend–The Great Books Summer Program–is held at Stanford University, which is a short ride on the Cal-Train away from San Francisco. As soon as the Red Sox schedule was released in January, I scanned it for opportunities. I was mainly searching for games in Tampa, but little did I know that the interleague gods were smiling down on me. The Red Sox were not only going to be in San Francisco at the same time I was going to be, but they had a weekend series, so there was nothing stopping me from going. I bought tickets immediately, and they sat in their page protectors, collecting dust, for months. They were the first thing on my packing list for California, and I was hoping that I would have the opportunity to see Timothy Lincecum pitch. I felt so lucky to be able to see my favorite team play in what might just be my favorite ballpark. As soon as I got into the park, I walked to the area where the pitchers were warming up, which was conveniently close to my seats. 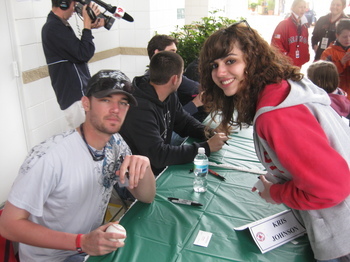 I was hoping for the chance to speak with Dustin Richardson, since he had gotten called up earlier in the month. I let him and Fabio Castro warm up for a while, because I didn’t want to interrupt their warmup. Luckily, a fly ball from batting practice did the job for me. After he fielded it, I called his name. He turned around and said, “Hey, what are you doing here?” I was mildly surprised that he remembered me all the way back from Spring Training. I told him I was taking some philosophy courses at Stanford, since that’s basically what we focused on the first week. He continued to warm up with Fabio. After he finished his warmup throws, however, he walked over to me and gave me the ball. He had to go run a bit and shag some balls, but before he left, I was able to congratulate him on getting called up, and his first major league strikeout. He also agreed to come back so that we could take a picture. 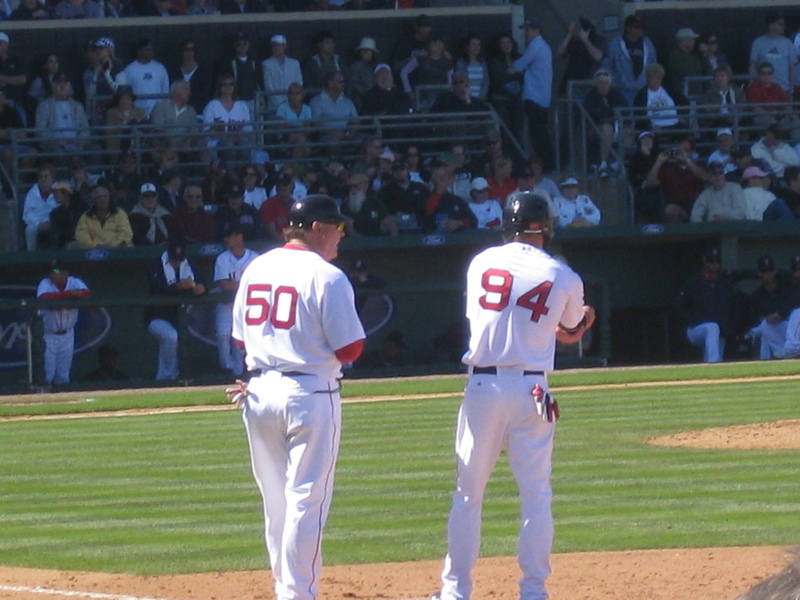 I wanted to see if I could move a little closer to the dugout and speak with Nava, but at the same time, I didn’t want to lose my spot because I wanted to see if Dustin would stay true to his word. I decided to stay. Dustin stayed true to his word alright. 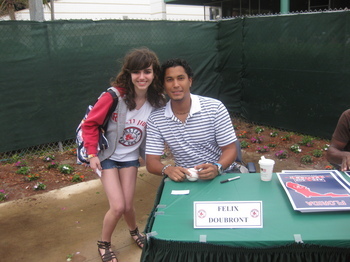 Not only did we get a chance to take a picture, but we also got to talk a little bit as he was signing for other fans. I don’t think the Red Sox were using Richardson as much as they could have (and probably should have since he is fantastic), and he didn’t really know the reason behind that. He mused that they were probably just taking it slowly with his development, and that he was happy to merely be up with the club. He also admitted that he did have a little bit of the jitters, and that he hoped that he could just shake them off and pitch. I really enjoyed getting that glimpse into what I think is the more human aspect of pitching. At that point, Richardson didn’t have that much major league experience under his belt, and I really appreciated his honesty. 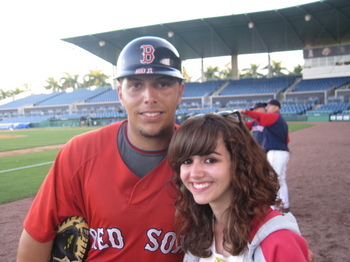 He was even like that in Spring Training when he honestly admitted that he still had some stuff to work on in Pawtucket. I’m no expert on this, but I would imagine that the pitchers who are honest with themselves and those around them are the ones that truly succeed because they will know when a change in their mechanics is necessary. Obviously, confidence is a factor for Richardson, and I think once he gets that confidence, he will truly reach his potential. I reassured him to the best of my ability that he was awesome and that he really had nothing to worry about. There are a lot of things that I like about interleague baseball. Mainly the fact that the Red Sox generally handle it pretty well. My distaste for the designated hitter and my advocacy of national league baseball is another story for another day. Another thing that I like is watching pitchers bat. It ranks among my favorite things. I thought Clay’s first major league hit was pretty special. What I don’t like is when pitchers pull their hamstrings while running to second base. Those kind of injuries actually kind of surprise me. It’s not like pitchers don’t run, but I suppose the type of running they do on the base paths could be completely different. What I mean by that is that you push off your foot when running the bases, and I bet that’s a completely different way of running for pitchers. Believe me, I’m not trying to make excuses, I’m just looking at all the possibilities. I practically had a heart attack when Buchholz came up short on his way to second. The last thing the already injury-depleted Red Sox needed was an injury to one of their most consistent starters. Scott Atchinson coming into the game wasn’t all that comforting either, but he really saved the ball club with a good three innings of work (if my memory serves me correctly). In fact, the entire bullpen threw well. 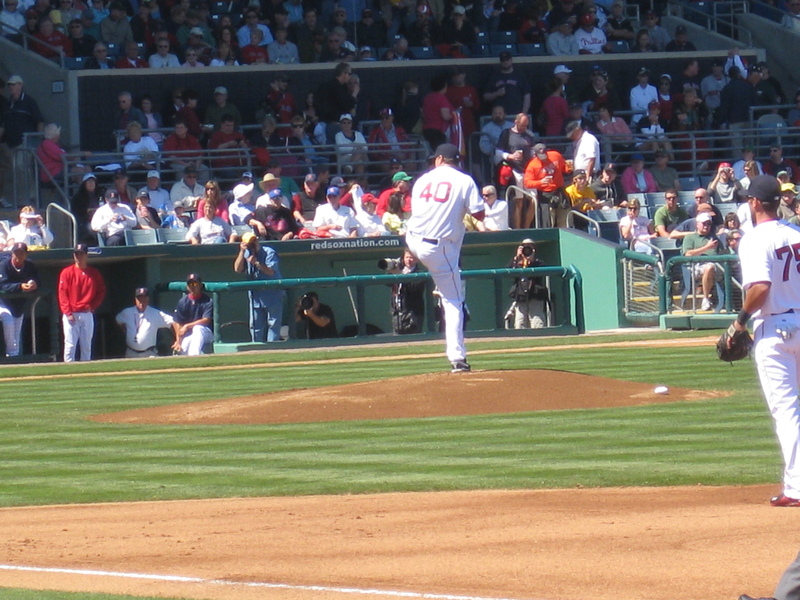 Richardson got in the game and pitched extremely effectively: he even struck out Pablo Sandoval for his second major league strike out. I was even looking forward to Dustin’s first major league at-bat, but I was not that lucky. Francona brought Okajima in the next inning, which didn’t really make much sense to me. It obviously was not a matchup issue considering the fact that they are both lefties. Dustin certainly could have gone another inning. and it was only $10. Granted I bought it from a street vendor about a block away from the park who may or may not have been sketchy, but it was irresistible. I was so excited for the next game because I had been anticipating an intense pitcher’s duel between Jon Lester and Timothy Lincecum. To tell you the truth, I didn’t want the Red Sox to knock around Lincecum. I wanted them to destroy the bullpen, but I was really in the mood for a pitcher’s duel. Unfortunately, Lincecum wasn’t at his best. He only lasted about three innings and 75 pitches with a balls to strikes ratio that was not impressive. That really surprised me though because who takes Timothy out after only 75 pitches and three innings? He clearly hasn’t been his best this year, and my theory is that he is harboring an injury and trying to pitch through it. Big Papi took Lincecum deep into the San Francisco bay for what they like to call a “splash hit.” Unfortunately, splash hits don’t count for opposing teams (even though the majority of them are illegitimate anyway because they were hit by Barry Bonds). Jon Lester pitched an absolute gem, and it game at such an opportune time too because the bullpen had been depleted just the day before. The bullpen was pretty much right in front of my seat, so I saw Papelbon pretty up close as he was warming up in the ninth. But I’m pretty sure that he spent more time watching Lester pitch than he warmed up. Let me tell you, it was an absolute honor to be present at a Jonathan Tyler Lester gem. One of the coolest moments of that game came before the game. As I walked into the stadium, one of my followers on twitter, @MisterLucky13 recognized me. It was a pretty cool experience to get recognized, and it was an absolute pleasure meeting and talking with him and his wife, Susan. Another cool moment was an unspoken conversation with Dustin. He had asked me if I was going to be there the day before, so he just waved when he saw me. And after he was finished warming up, he walked over and handed me the ball again. That really meant a lot to me because it kind of established an unspoken friendship. Those two baseballs that he gave me in San Francisco really meant a lot to me because they were emblematic of so much more. Those two games at San Francisco were so much fun because in all honesty, there is no better place to see a ball game. The food is probably among the best of any ballpark (try the garlic fries and lemonade), and the weather is practically perfect. I think my favorite part of the entire experience was being able to speak with Dustin Richardson. I was very disappointed to hear that he got sent down the other day because I think that pitched well in the few innings that he pitched. He certainly has pitched better than Okajima and Ramirez recently. Nevertheless, there are still some mechanical improvements/adjustments that he can make down in Pawtucket, and I have no doubt in my mind that he will be back with the big league club in September, and that he will hopefully start out in the bullpen next April. Amidst all of the stress that I’m dealing with right now, I figure writing about baseball is the best way to relieve it. Most of you who read my blog seem to be a bit older than me, so let me ask you something: Was May of your junior year the worst time of your life? Or is that just me? If it wasn’t for baseball, I don’t know where I would be right now. Not only do I have my two AP exams next week (Psychology and English Language), but the administration decided it would be a good idea to also make quarter testing next week, which further ruins my life. Not to mention the fact that I still have to worry about standardized testing because–like the Red Sox’s overall performance so far this season–my scores are mediocre and not good enough to get me into the schools that I would like to attend. I just can’t wait until the summer. On a significantly brighter note, I’m going to be president of my senior class next year. I only share this with you because the entire premise of my speech was baseball. Being a baseball fan gives you some of the qualities that are necessary to hold a position like that: dedication, persistence audacity, loyalty, hope, etc. The Pawtucket Red Sox moved Kris Johnson back to the starting rotation, and that has certainly paid off. In his first start of the season, he pitched five innings without allowing a run and struck out three. In his last outing, he went five innings and gave up three runs. I personally think that he is more of a starter, so I would like to see him continue for at least a while in this role. This will help the organization decide whether or not he will be a starter or a long-term relief guy. I think they need to decide his role relatively quickly so that he can continue his development without ambiguity. In Pawtucket’s relief department, both Dustin Richardson and Robert Manuel have fared exceptionally well. I have no doubt that Richardson will be called up at some point this season; hopefully sooner rather than later! I don’t hear about Robert Manuel as often even though he has pitched spectacularly. I think that he could also positively impact the Red Sox’s bullpen as well. Lars Anderson was recently promoted to Triple-A! He was quite literally destroying Eastern League pitching, so a call-up was inevitable! When he was called up to Portland last year, he struggled with the adjustment, so I was a bit nervous that he would have some problems in Pawtucket. Of course, an adjustment period is necessary with a promotion to any level, but Lars has fared well so far. Daniel Nava is someone you should keep your eye on. With a powerful bat, he his hitting .305 on the season with 29 hits, 5 doubles, a triple, and four home runs. I don’t hear as much about him as I do Josh Reddick, but his performance certainly warrants a call up soon! I would really like to see Ryan Khoury with more playing time in Pawtucket. I think he is a great player, but he has only played in nine games so far. The Paw Sox designated Kevin Fransden for assignment, so I hope we see more of Khoury. In Double-A, reliever Eamonn Portice has been very impressive. Starter and top prospect Casey Kelly has also been doing well, though he is on a very tight leash because his innings are being limited (since this is his first full year as a starter). Catcher Luis Exposito has been on fire during the past week or so after going through a minor slump. Ryan Kalish has also been very consistent at the plate. In Salem (High-A), Will Middlebrooks and Tim Federowicz have had a great week and a half. Anthony Rizzo has been consistent at the plate for the season, so I wouldn’t be surprised if he got promoted soon. 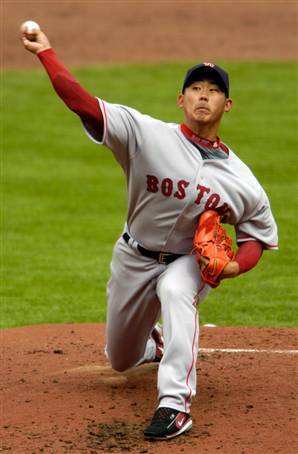 Daisuke Matsuzaka is finally back in the Red Sox starting rotation. In his first outing, he pitched fairly well until the fifth inning. In his most recent outing, his first inning was atrocious, but the rest of his outing was virtually flawless. While having a couple of solid innings are certainly commendable, it’s tough to say that I feel completely confident in Matsuzaka when he has barely pitched into the sixth, and he still has problems with walking tons of people. First of all, Terry Francona should have been more aware of the situation in Dice-K’s first outing. Typically, Dice-K starts struggling around the fifth or sixth inning, but it was also his first start of the season. That was just an ugly game, and Wakefield’s first appearance out of the bullpen since 2004 did not stop the bleeding. Like I’ve said, Francona always waits a batter too long to take his starter’s out. When your starter is around 100 pitches and he puts two men on, it’s a sign to take him out! Is it just me, or is that especially evident this year? This is also the first year of Francona’s stint with the Red Sox that he really has to put deep thought into the lineup and the pitching staff. It isn’t obvious where everyone should hit this year, especially with the demise of David Ortiz. The Red Sox look more like a national league team this year. Some of you may take this as a negative connotation, but I actually think it has a positive one! Admittedly, assembling a team like this in the American League East is a bit risky, but I do think it has the potential to work if it is managed in the correct way. Just because Jacoby Ellsbury is out of the lineup with an injury, doesn’t mean the Red Sox should stop running. Dustin Pedroia has stolen a couple of bags, and Marco Scutaro and Darnell McDonald certainly have speed as well. And honestly, Big Papi should start bunting more because his presence in the lineup will be much more effective. I would also like to see Jeremy Hermida in the lineup over Bill Hall. Hermida has been pretty effective as the plate and Bill Hall has not. Jon Lester has certainly started to turn it around in his past couple of starts by turning out very dominant performances. 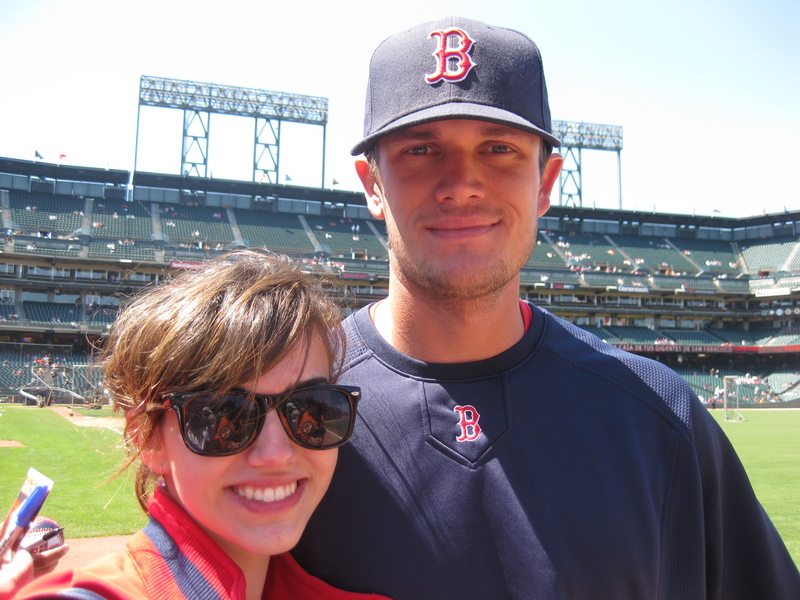 Buchholz has also been spectacular, which I love to see. I just hope Beckett can find his consistency, because he is an essential part to the starting rotation. 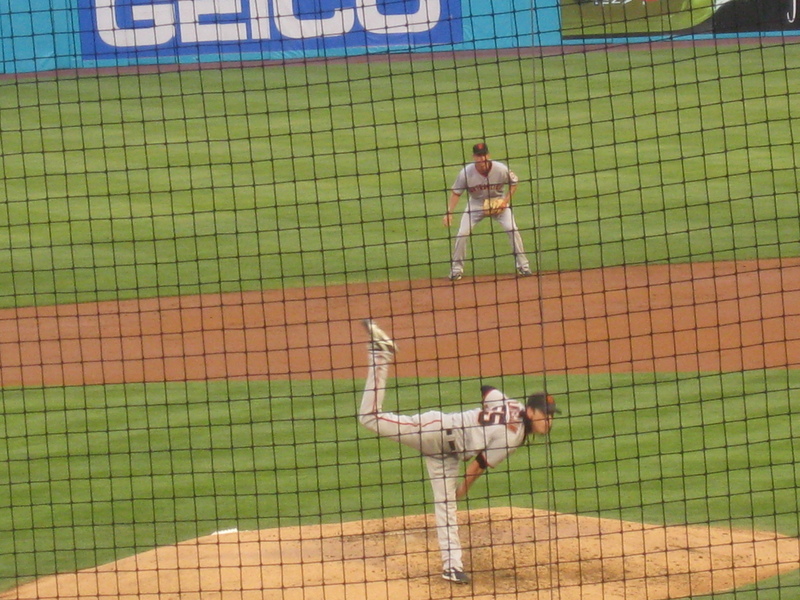 On Tuesday night, I had the pleasure of fulfilling a life long dream (or since 2008) of seeing Timothy Lincecum pitch in person. The San Francisco Giants were in Florida, so there was no way that I was passing up the opportunity. Sun Life Stadium has a very different feel to it than the other baseball stadiums I’ve been to do. Let’s just say you know you’re in Miami. Lincecum struck out his season high of 13 batters. His slider and changeup are probably the most beautiful pitches I’ve ever seen. He might just be my favorite pitcher in the league. He is also one of the better hitting pitchers I’ve seen. He can lay down a perfect bunt! Maybe the Red Sox should take some lessons. 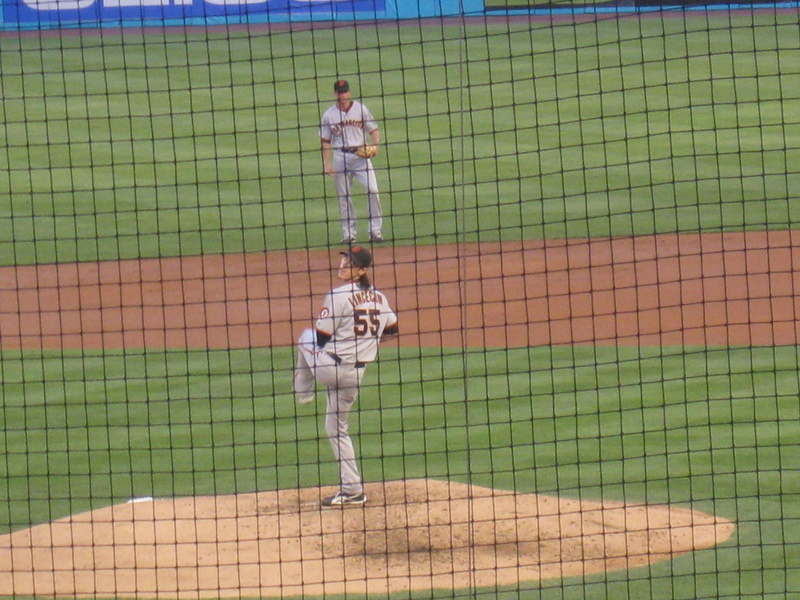 I must say, I feel much more complete as a person now that I’ve seen Lincecum pitch in person. His delivery is one of a kind. I have heard that when he was drafted, one of the conditions was that the Giants would not change his delivery or his routine. Retrospectively, maybe the Red Sox should have done this with Dice-K. He was so dominant in Japan, but besides his 2007 season, his others have been subpar. I know that American baseball is different from Japanese baseball, but perhaps Dice-K would have fared better if he was allowed to do it his way. The Red Sox dropped the first game of the series to the Yankees last night. Beckett looked fantastic until the sixth inning. His only mistake was the hanging curve to Nick Swisher. Beckett simply lost his command. He should have been out after he hit Francisco Cervelli, not four batter later and five runs too late. I do not understand the rationale behind that! I fear that the Yankees might retaliate today, especially because Sabathia seemed to take personal offense when Jeter was hit by a pitch. Beckett clearly wasn’t doing that on purpose, so I hope he realizes that. Nevertheless, it’s all a part of the rivalry, and I’m ready for part two! One last thing before I go. I would like to share with you all that I have been recruited to be a reporter for KidPitch, a show that airs every week on FSN. 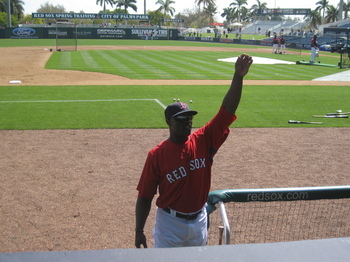 I filmed a report from about David Ortiz’s slow start to the season, and it will be debuting this Sunday. All of the other reporters are much younger than I am, but you have to start somewhere, right? If you would like to check it out, you can find your local listing here. I think that I’ve developed a new mantra for the Spring, and maybe a new mantra for life in general: It’s not my fault if it’s open. With the kind of industry that I want to go into, you have to be a little gutsy, and you can’t take no for an answer. “Authorized personnel only”? Please, that term is subjective. If a door is open, I’m going to walk through it. If a fence is half open and half closed, I’m going to sneak through it. And if it’s closed, then I’m going to climb over it. If I can find a way to “trespass”, then I deserve to! (I do respect boundaries though, especially baseball boundaries. I know how sacred this game is). You could not have asked for better baseball weather than the kind of weather that was at City of Palms Park. There wasn’t a cloud in the sky, and the sun was shining amidst a cool breeze: it was perfect. 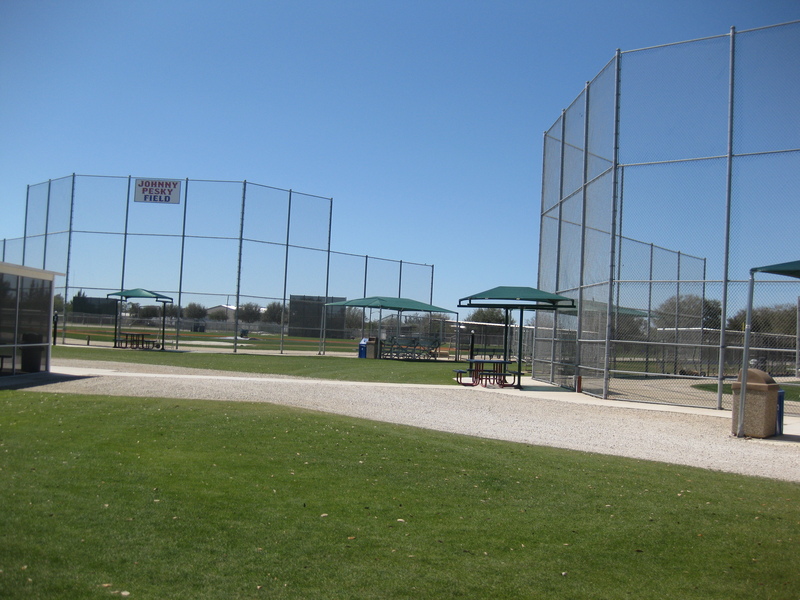 As many of you know, I typically have quite the agenda for Spring Training games: arrive when the gates open, collect autographs until the game starts, and then not moving until the game is over. This time was no exception, it’s just that the agenda was a little bit different this time. 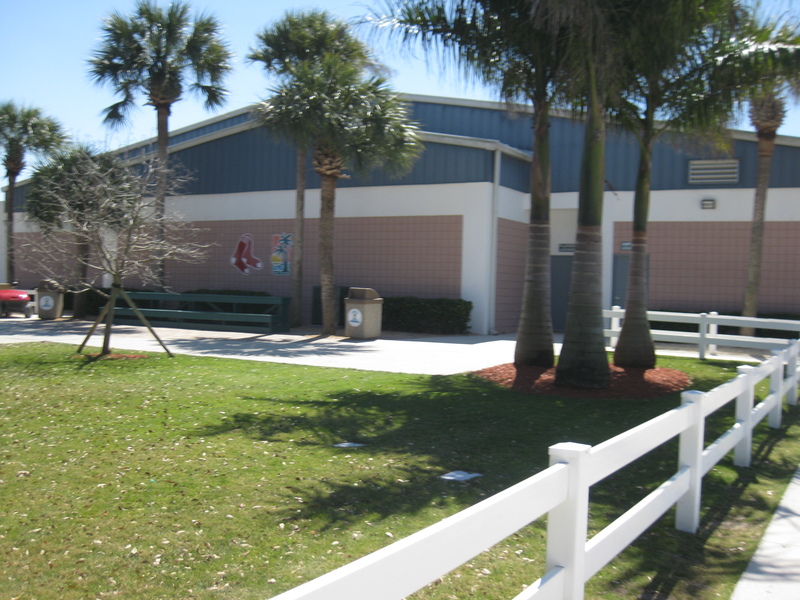 Instead of going to get autographs, I went to the players’ development complex again to interview one of the Red Sox’s top outfield prospects, Ryan Westmoreland. Little did I know that they had early morning physicals, so I ended up missing him. That’s OK though, there is always next weekend. Walking around the empty players’ development complex was a cool experience itself. It was a ghost town. It was a completely different atmosphere compared to the weekend before. Walking around reminded me of this scene from my favorite book, Shoeless Joe. Archie Gram, J.D. Salinger and Ray Kinsella all decide to head down to the empty Minnesota ballpark. 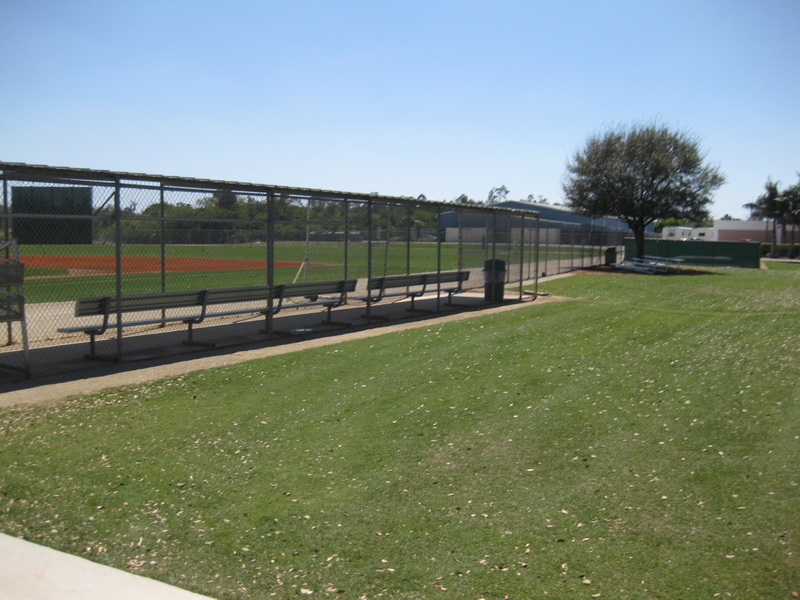 I know that this players’ development complex isn’t exactly a ballpark, but there are still five baseball fields and bleachers. No players were in sight, but I went into the office area just in case. Guess who I saw again? Sarge! The same guy who was there when I snuck into both clubhouses the week before. He remembered me and we had a nice chat. I swear that guy is either going to be putting me in jail or bailing me out. Before we left, I ran into the international scouting coordinator, Fernando Tamayo. I talked to him for a bit, and told him about my whole project program. The funniest part was that he actually graduated from my high school. I guess it is a small world. We arrived at the game about 45 minutes before the first pitch, so I really had no chance to get autographs. I didn’t have my spot, and I was too far away from the players who were stretching. It’s always nice to watch them warm up though, and it was really cool to see John Lackey walk out to warm up for the first time in a Red Sox uniform. We had seats down the right field line, so we could see into the Red Sox dugout. It was a little bit hard to see home plate, so judging whether the ball was a breaking ball or a slider was harder than usual. It was a fantastic ball game though. 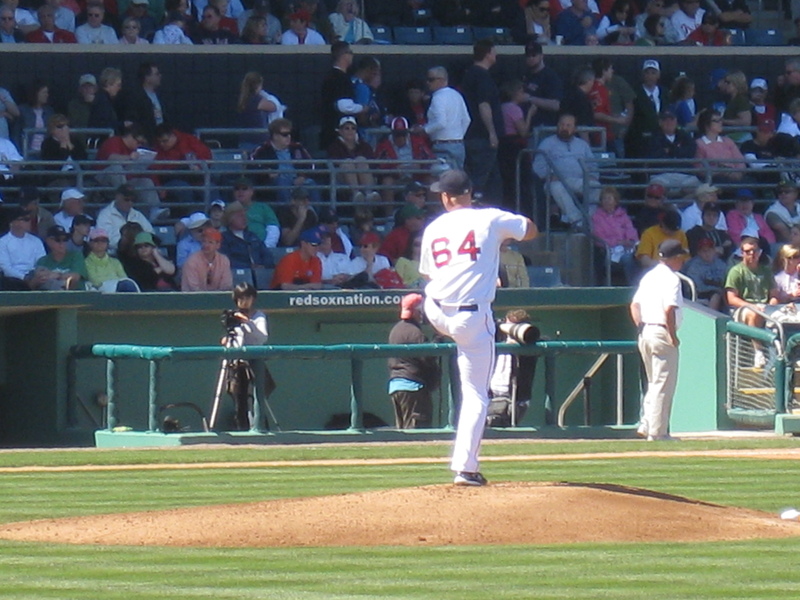 John Lackey’s first pitch in a Red Sox uniform was a strike. His outing was certainly the best of all the starters so far this spring. He already had that game day mentality. I had noticed with some of the other starters like Beckett and Lester so far this spring that they took a little while to get back into that kind of midseason mentality, and I think that’s okay. We should not be overanalyzing their every pitch. These are practice games for them: they are trying out new pitches and new techniques, and they aren’t going to be perfect. 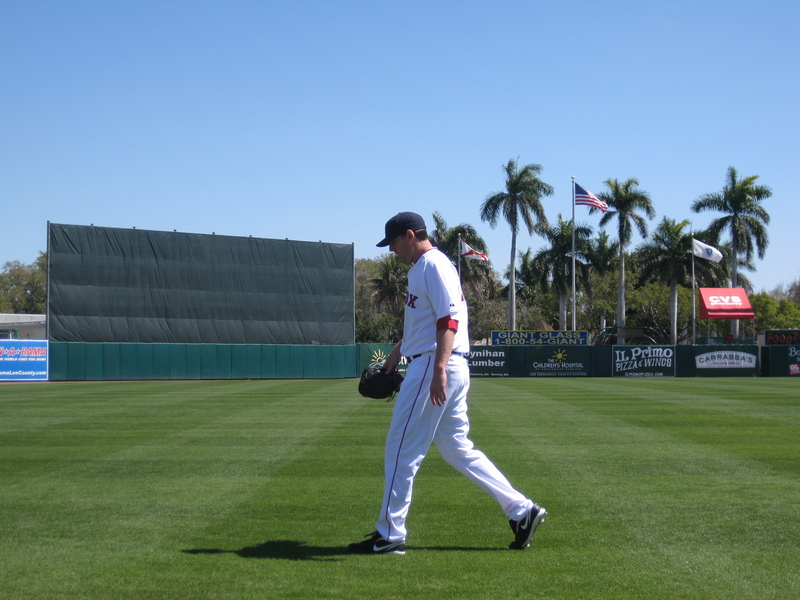 Nevertheless, Lackey was very impressive in his Grapefruit League and Red Sox debut. Obviously, he is focusing on remaining healthy throughout the Spring to be ready for Opening Day since he has had some problems with that in the past. He got ahead in the count for the most part, and even if he was behind in the count he didn’t have any problems. Michael Bowden, who is competing for a spot in the bullpen, pitched after Lackey. Bowden has definitely realized that if he wants to make the Major League roster, he’ll have to be a relief pitcher for the time being, and I think that he has become more open to that. I’ve said this before and I’ll say it again: he could have the Justin Masterson role of this year, and Masterson’s versatility was a very important component for the Red Sox. Bowden pitched well from the stretch, and overall he had a real nice outing. Manny Delcarmen followed, and he also pitched well. Then it was Brian Shouse’s turn. He has the submarine sidearm delivery, and not much velocity. He got into some trouble, but managed to escape with one unearned run. Joe Nelson got racked a little bit. He’ll always have my respect though for the Vulcan pitch. Yes, Vulcan as in Star Trek. I was never a true Trekkie, I’ve always been a diehard Star Wars fanatic, but Star Trek is still legit. Nelson may have the Vulcan grip, but he did not have the Vulcan mentality. Vulcans do not have feelings, they are all about making the logical choice. It looked like Nelson was getting a little mental because he was getting hit (he also had a wild pitch), but if he can master the Vulcan mentality in the same way that he’s mastered the Vulcan grip, then I think he will certainly be able to live long and prosper. 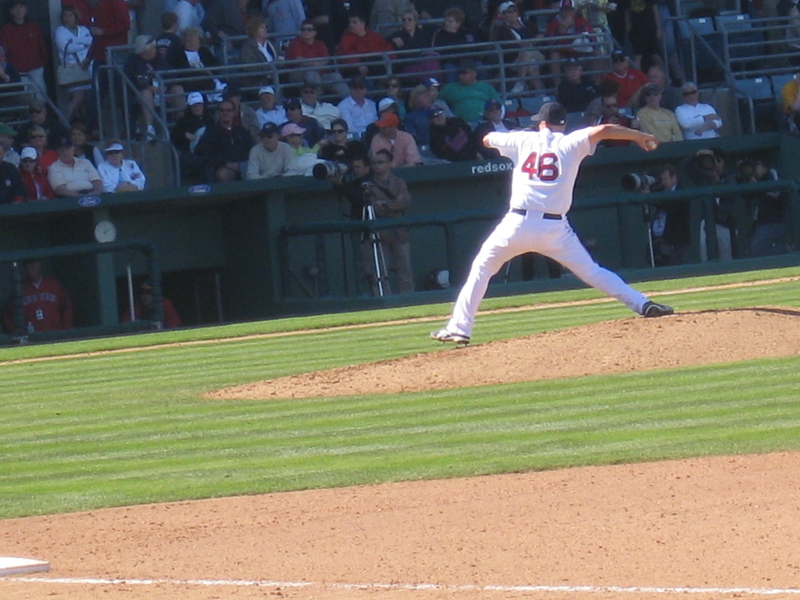 Junichi Tazawa was the final pitcher of the day. I absolutely love his delivery, and he worked well even when he was behind in the count. Some of you may remember him from Spring Training last year, but if not, he is definitely a guy to keep your eye on. Many of you know that I have a bit of a problem with calling grown men who are twice my height ‘babies’. This mainly applies to the minor league prospects, but it’s not like I mean it as an insult; coming from me, it’s the highest of compliments. The game I was at was a split squad game (there was another game going on in Port Charlotte against the Rays), so I was lucky enough to see some guys from the minor leagues who were called up for the day. Babies? Zygotes? Embryos? Projects of the future? I’m not sure yet, but I certainly enjoyed watching them play. These guys were Jeremy Hazelbaker, Matt Sheely, Nate Spears, and Jason Place. In his first at-bat of the Spring, Jeremy Hazelbaker was walked, and he did a nice job in right field. I was also really impressed with Matt Sheely’s arm, and his and Nate Spears’ speed. Since these guys aren’t technically non-roster invitees, they don’t really have a chance to consistently impress just quite yet. But mark my words, some of these guys will be back next year as non-roster invitees, or even on the 40-man roster next spring. Here are some other things that I noticed from the batters: Bill Hall has a really wide stance, and he needs some more plate discipline. Gil Velazquez has been doing well in clutch situations, and he is a great baserunner and utility infielder. Angel Sanchez has a nice drag bunt technique that I would like to see more of this spring. I really liked Tug Hulett’s aggressiveness at the plate when he pounced on the first pitch he saw of the Spring and launched it over the right field wall for a three run homer. The Red Sox have been batting Mike Cameron at the top of the lineup in his two games, so I’m wondering where he is going to bat when the regular season comes around. One person I have been especially impressed with in Spring Training is catching prospect Luis Exposito. He made this incredible catch right by the Red Sox dugout, and he also has a really nice arm for throwing runners out at second (even though he didn’t get the opportunity to do so this game). When he hits the ball, he makes solid contact. I watched him during batting practice last Saturday, and he was belting the ball over the fence and into the other field. He is even a pretty good baserunner, so he has it all! -Adam Mills was the starter. He didn’t have that much speed… his fastball clocked out mid to upper eighties. What I really liked about him though was that he worked quickly and he let his defense do the work. He has quick innings. -At the game I was at, Ryan Kalish had actually reached base in 18 straight games. He hit a two run homer at the game, and I noticed some serious power. -Even Matt Sheely was at the game as a pinch hitter, and he demonstrated some good speed. A couple of other notes from the first week of Spring Training: First of all, I don’t think that we can get to hyped up over the numbers. We have to remember that these numbers don’t count and that these are practice games. Everyone is easing back into the baseball mentality so that they can be ready for Opening Day. Pitchers are working on adding a new pitch to their arsenal, and batters might be trying out new stances. I have been really impressed by Josh Reddick, and pitchers Casey Kelly, Kyle Weiland, and Felix Doubront. We have plenty of more Spring Training games coming our way, and I’ll be back at City of Palms Park next Saturday.